San Francisco is a tenant town. Yet its zoning laws largely bar new apartments. It’s time for the city to legalize such housing as an essential strategy for increasing inclusion and diversity. Why does San Francisco, a tenant-majority city with the nation’s strongest renter and rental housing protections, maintain zoning laws that bar new apartments? It’s homeowner political power. Homeowner groups will lead the opposition as Mayor Breed seeks to increase housing development on the city’s underbuilt Westside. To start with the facts: 38% of San Francisco’s private land allows only one house on a lot. Another 16% allows only two units. Only 2% of the city that has no restrictions on density or parking requirements. Incredibly, you cannot build a six unit building or larger in 87% of San Francisco. That explains why so much housing is targeted to the Mission, Tenderloin and SOMA, which allow larger projects. Opponents of “upzoning” the city’s Westside talk as if they are battling highrise development. But upzoning the Westside is really about increasing density, i.e. the number of units that can be built on sites. When framed as a density issue, opposition to new apartments sounds very different. It means people who prefer a new four story mansion housing wealthy people to housing the working and middle-class. It’s really about people battling to stop tenants from living in their neighborhood. Are homeowners really that fearful of tenants? Or is it all about an economic strategy whereby homeowners reap rising property values by restricting the number of people who can live in their neighborhoods? Given that homeowners are battling to prevent apartments from being built in “progressive” cities across the nation, both explanations may apply. The homeowner opposition to apartments is so bad that an all-out war is being waged in progressive Minneapolis against fourplexes! Opponents of apartments in Minneapolis claim that allowing them will “bulldoze our neighborhoods.” The same arguments are made in Portland, Austin and other cities despite single family home zoning encouraging the demolition of smaller homes and replacement by mansions (To back the Neighbors for More Neighbors campaign in Minneapolis you can buy this striking pin inspired by a fourplex built in 1925). Isn’t SF a Tenant Town? San Francisco is distinguished by it high percentage of renters. Yet its zoning laws concentrate tenants in existing renter-majority neighborhoods or in areas like SOMA where there were no single family homes. How do these anti-tenant restrictions survive in “progressive” San Francisco? One reason is the absence of a major organizing drive to change these zoning restrictions. A key lesson I have learned about winning social change is that a campaign can’t win if it never starts. When Mayor Lee and Supervisor Katy Tang tried to increase density on the Westside through HOME-SF, they lost the first year but came back and got the law passed. Had they given up after the initial failure we would still be hearing how density bonuses on the Westside could never happen. A second and related reason is the longstanding political alliance between many San Francisco “progressives” and homeowner-driven neighborhood groups. In the 1980’s, when the primary political battleground was “downtown vs. neighborhoods,” this alliance made sense. But there has never been anything “progressive” about barring apartments from over half of San Francisco. As new housing in longtime residential neighborhoods sells or rents for less than existing housing (as I describe in my upcoming book, Generation Priced Out, the true “luxury” housing in San Francisco is existing homes), opposition to increased density worsens gentrification and exclusion. Mr. Rogers: “Won’t You Be My Neighbor”? The popularity of the new documentary on Mr. Rogers, “Won’t You Be My Neighbor,” has gotten a lot of people talking about the anti-tenant, anti-neighbor feelings of those insistent on stopping new apartments. Most single-family zoning in the United States was designed to keep African Americans out of white neighborhoods. San Francisco should not be perpetuating these restrictions. That’s a good idea but most affordable projects need larger sites than those commonly available on the Westside. There’s no reason for pro-tenant San Francisco to delay building apartments for working and middle class residents everywhere in the city. Joel Engardio wrote a piece in June 2017, “What if We Turned the Sunset into Paris,” that promoted the views of architect Eugene Lew to turn the Sunset neighborhood into a haven for middle-class families. Lew’s plan, which he calls Dom-i-city for “Domiciles in a city,” would build six-story buildings housing fifteen families apiece. It is consistent with Sunset zoning except for the density. I think Mr.Rogers would like Lew’s plan. He would want us to open up the Sunset and other neighborhoods to families that are otherwise barred by the steep housing prices caused by the ban on new apartments. 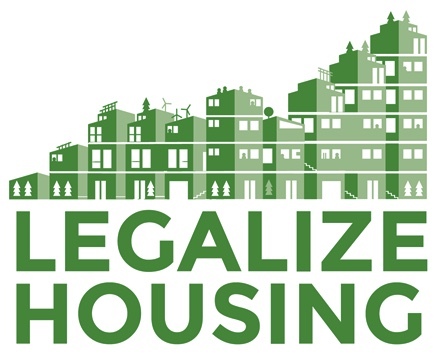 Legalizing apartments is the neighborly thing to do. Legalizing apartments is also essential to fulfill Mayor Breed’s plan to build housing for future San Franciscans. Because when it comes right down to it, without legalization there are simply not enough economically viable buildable sites elsewhere to meet the city’s needs. Randy Shaw is Editor of Beyond Chron. His new book, Generation Priced Out: Who Will Live in the New Urban America, will be released in October by the University of California Press.